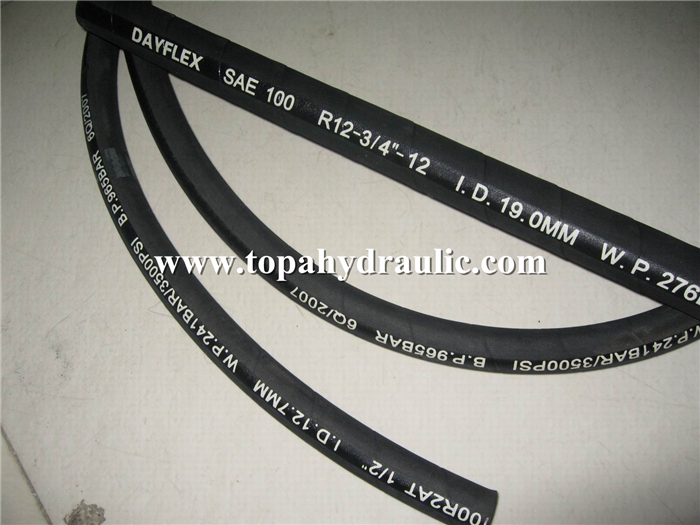 oil-proof,unbearable flexural fatigue,aging resistant, flame retardancy and any other function. 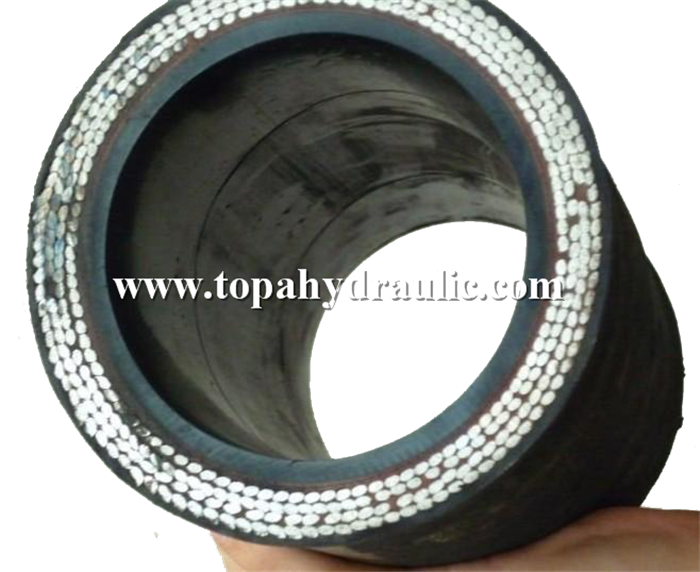 Substratum of synthetic rubber resistant to oils. 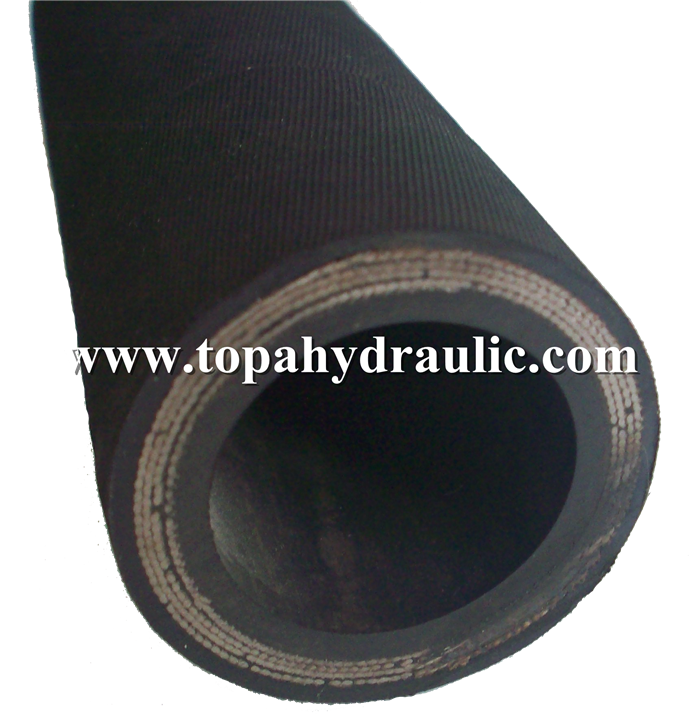 Black synthetic rubber resistant to abrasion, oils, fuels, ozone, atmospheric agents. 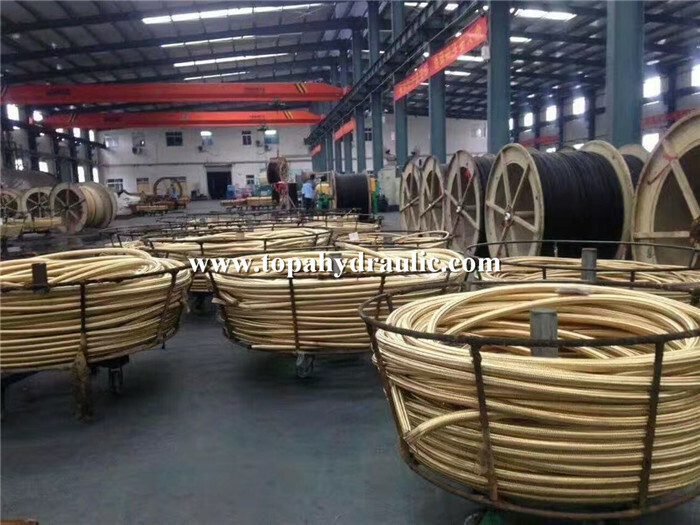 Hydraulic hose fittings be used to convey the hydraulic liquid such a hydraulic oil, fuel oil, lubricating, water emulsion, hydrocarbon and son on in order to transport high pressure liquid and hydraulic convering for engineering project which temperature is -40℃~+100℃. 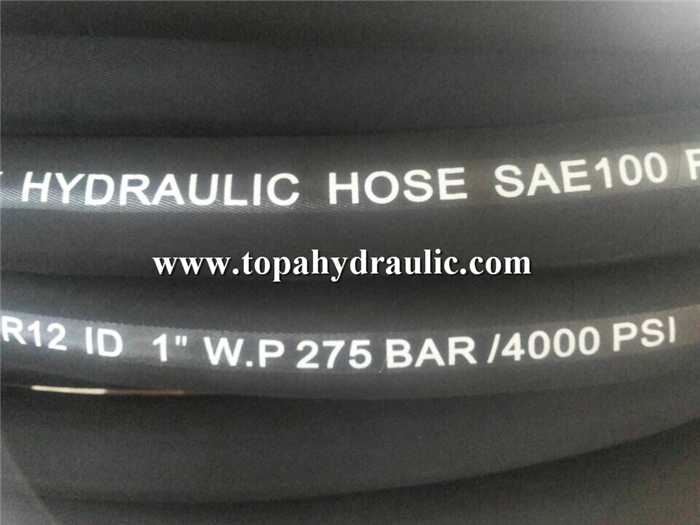 The general package of hydraulic hose fittings is plastic or woven bag with pallet under the hose, which can be seen below. We, however, can also provide special package according to customer`s requests. 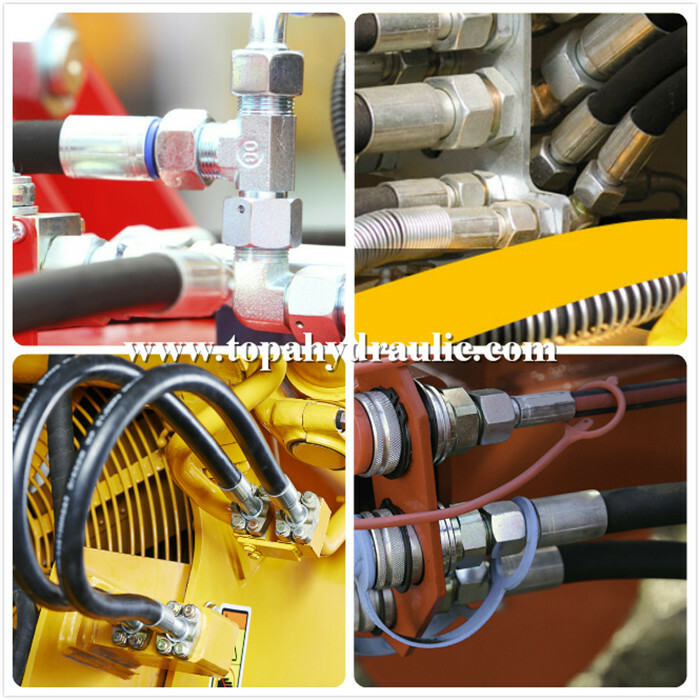 Our hydraulic hose fittings are produced strictly accordance with national standard. 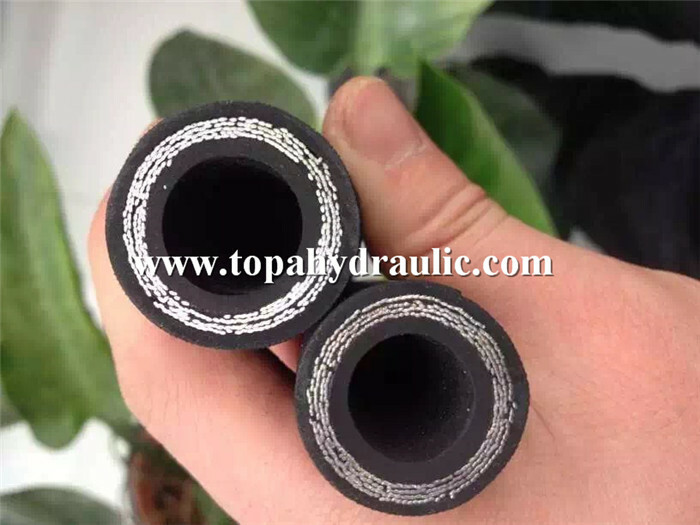 1.Using high-quality rubber, inner liner is with good air impermeability,and cover has great heat resistant and anti-aging performance. 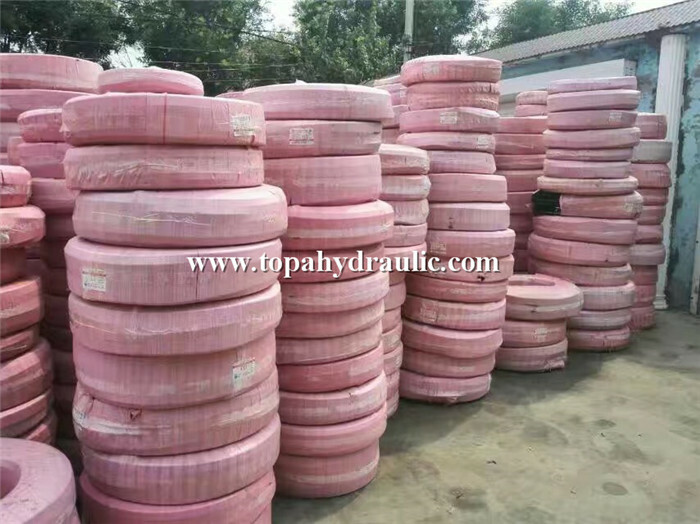 2.Reinforcement layer is made from knitting(or twining)polyester thread which is with high-strength. 5.It is environment,none pollution to the environment. 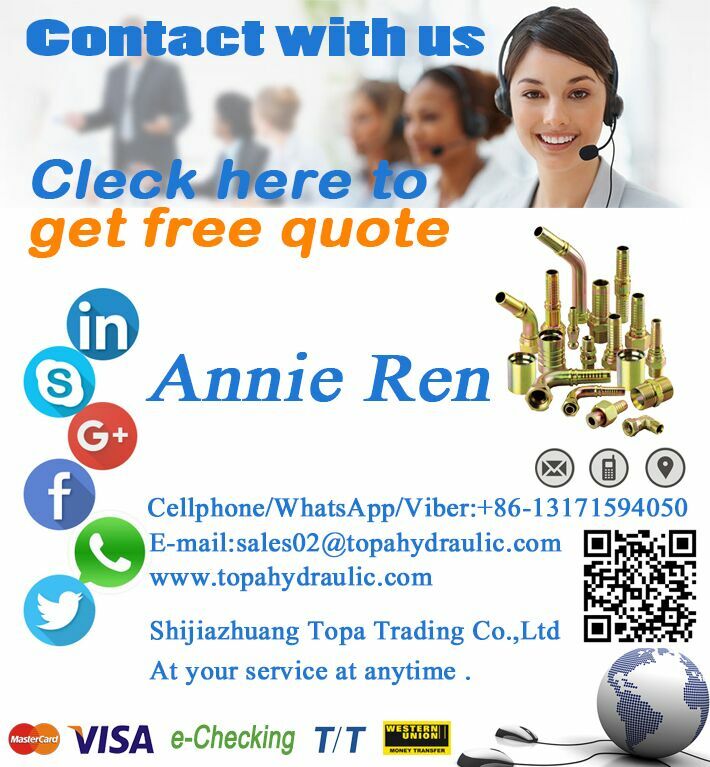 100% manufacturer, Welcome you visit our production line. Please join our mailing list.Click[Send" now!